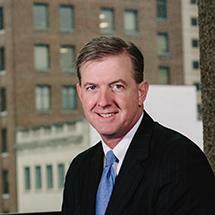 Daniel J. Gentry has focused his practice on business and employment litigation and dispute resolution. He has handled a variety of business disputes, discrimination and harassment claims, non-competition and trade secret litigation, tort litigation, and other disputes arising from business operations and transactions. Dan has tried cases to judges and juries in Ohio courts, advocated before Ohio courts of appeal and administrative agencies, and represented clients in mediations and arbitrations. Most recently before joining the firm, Dan served as in-house counsel to a local high-tech R&D company. He has also provided training to young lawyers and addressed local business organizations on topics of interest related to business disputes.